Welcome to Michigan's Indian Community! 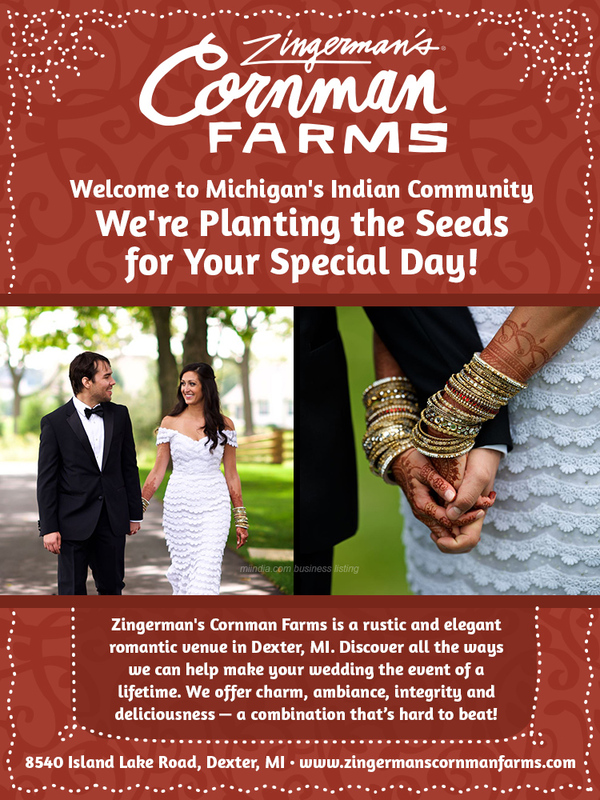 Zingerman's Cornman Farms is a rustic and elegant romantic venue in Dexter, MI. Discover all the ways we can help make your wedding the event of a lifetime. We offer charm, ambiance, integrity and deliciousness — a combination that’s hard to beat!